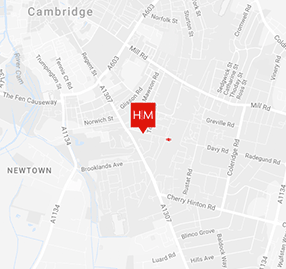 Established in 2015, our Cambridge Office focuses on the City of Cambridge and the East Anglia region, working closely with our London and Farnborough Offices to provide specialist services across the sectors. Our projects range from the University of Cambridge’s Design Framework to a series of projects which form part of Brookgate’s CB1 masterplan adjacent to the railway station. As such, we have developed partnerships with a number of local consultancies and have a good understanding of local developments and planning conditions. As members of the Cambridge Forum for the Construction Industry (CFFI), we regularly take part in local events, including a recent showcase of the VR model for our building for ARM, with Architects Scott Brownrigg.